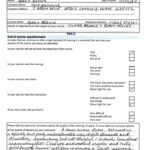 Here are a few testimonials from our clients – You can find a full list of our recent clients here. FORK LIFT TRUCK TRAINING BY PROFESSIONALS – FOR PROFESSIONALS. 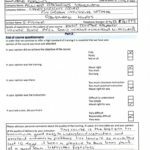 We have been very impressed with the friendly and high standard of training by your instructors, it has been a really good experience and everyone has enjoyed themselves..
“In my role as Training Manager I have called upon Clive several times to come to our site and carry out training for new FLT drivers and also refresher or conversion training. 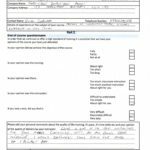 Clive has always been very flexible in understanding our shift patterns and requirements and has worked well with me to accomodate our needs. 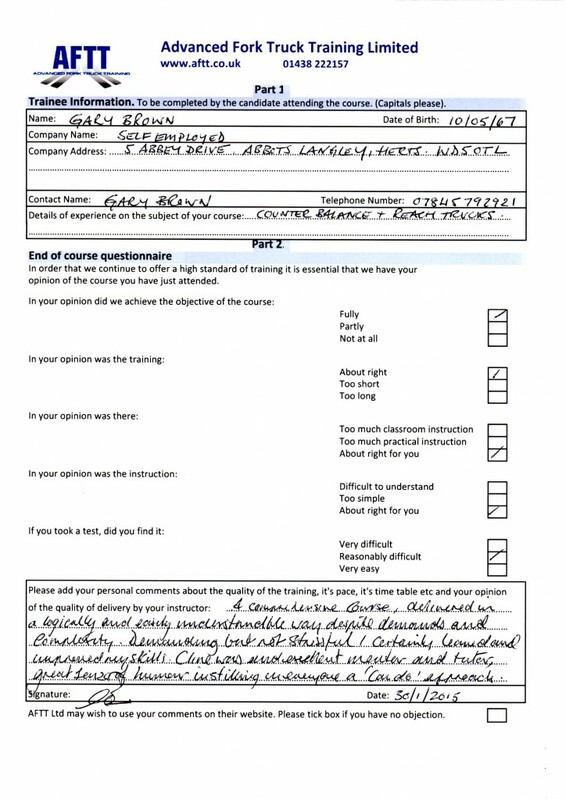 During a recent restructure Clive and his team proved invaluable in working a schedule with us which allowed for a lot of training to happen within a 2 week period. When on site I always find him to be a very easy guy to talk to, always happy to be here and clearly enjoys his work which is reflected in the pass rate success of our employees and the good feedback that they give regarding their training. Clive and his team will certainly be back here again when we are due for more training”. Darren Sadler – Training manager. 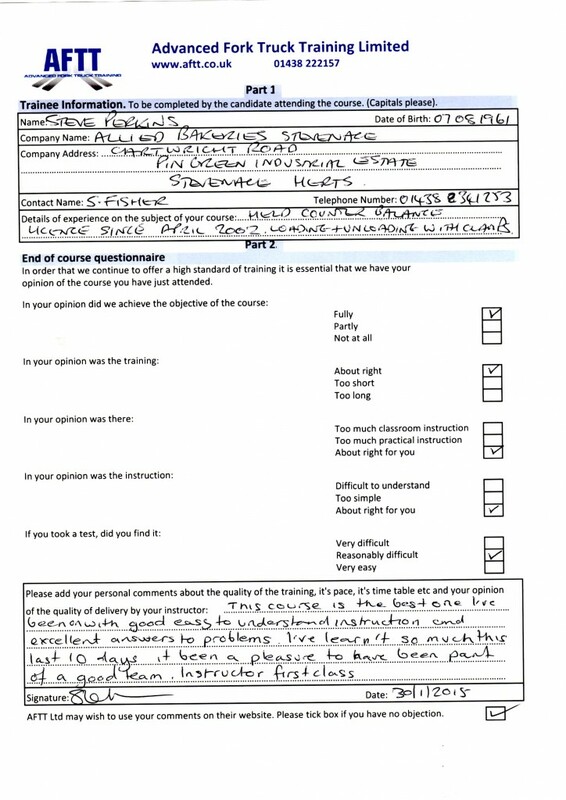 “Scottish Power used Clive Flucker from Advanced Fork Truck Training at Rye House Power Station for it’s Fork Lift Truck Training needs with excellent results”. 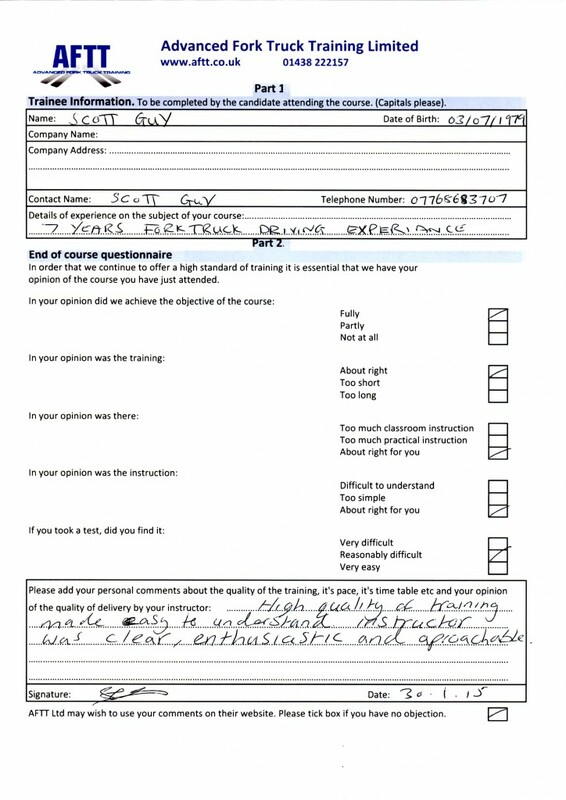 “Once the decision was made to purchase VNA trucks for our new warehouse in Suffolk, along with several other trucks of various types, the next thing was to ensure we had “top class” operator training for each of them for all our new employees. My choice was Linde for this training, and Clive Flucker was the “man” so I was told. 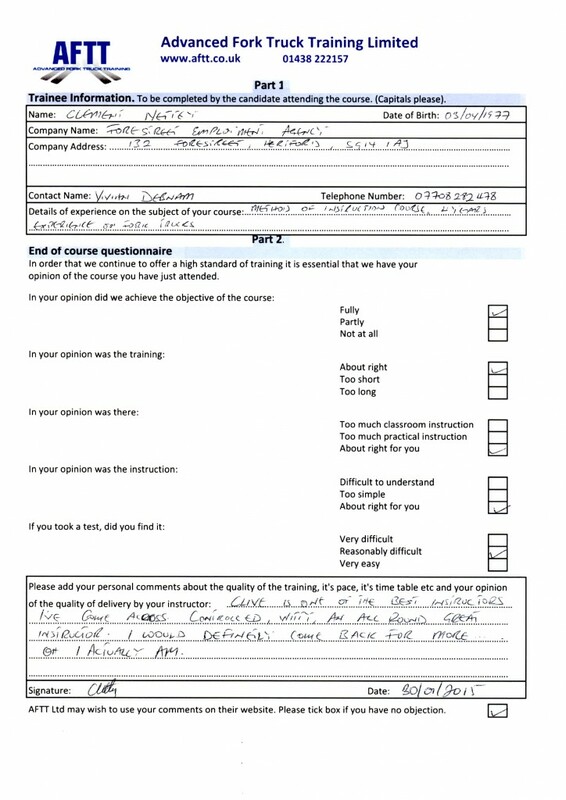 I would recommend to anyone thinking about employing a person to train people on all types of MHE to use Clive. 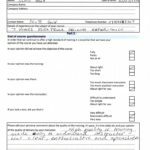 His experience and attention to detail and professionalism stand out immediately, and this is reinforced by excellent training skills, manner, an understanding of site specifics, all H&S considerations and a willingness to go the extra mile if required”. Clive is my only consideration for our continuing MHE training needs. 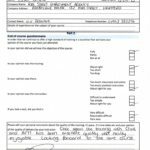 “I have used Clive and latterly AFTT for all our training requirements since first getting to know him in 2001. I have found him to be the most helpful, efficient and knowledgeable person in the industry. 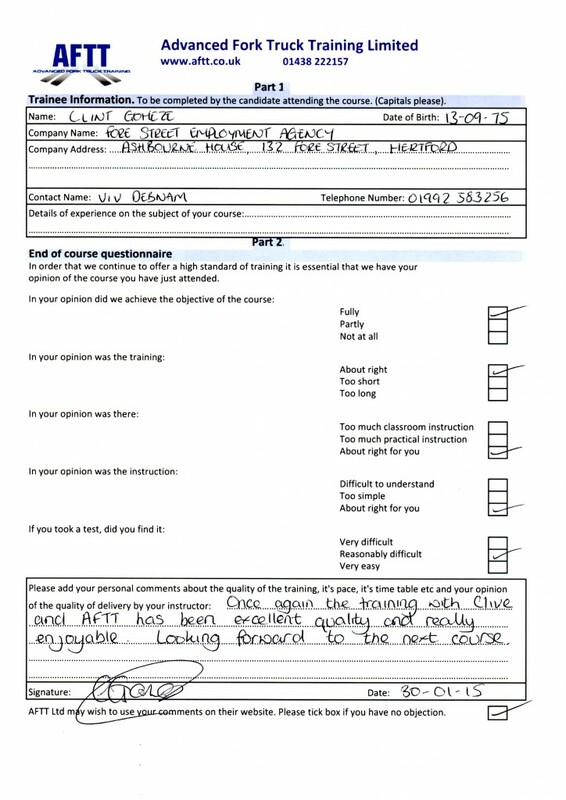 All aspects of AFTT work from the initial booking through to the delivery of the training and the final paperwork are dealt with professionally and courteously. Beds and Bucks Fork Trucks LTD.
Dave Adams – Beds and Bucks Fork Trucks LTD.
Angela Murray – Schlegel Ltd.